The majority of the records concern the Eastern and Western Redevelopment projects, which were conducted on more than 60 acres of land, located in neighborhoods to the immediate east and west sides of the State Capitol. 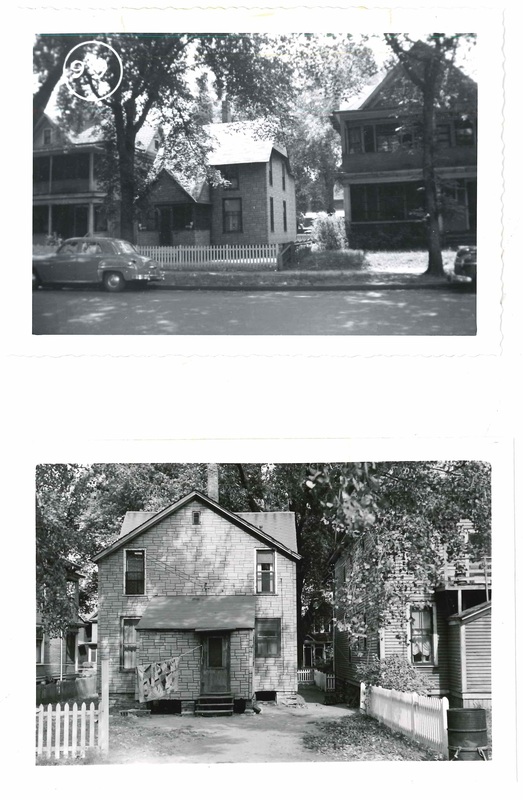 Properties were appraised for city acquisition and future demolition. 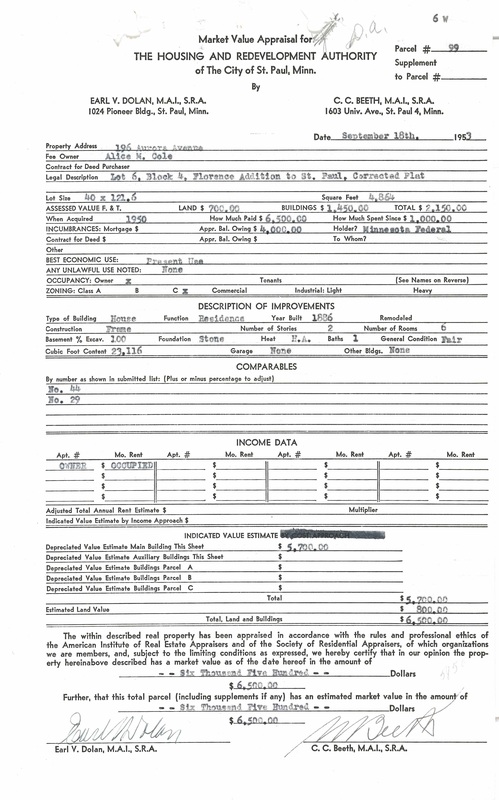 Folders are arranged by street name and address and dates range from June 1953-January 1957, certain folders contain photographs of properties.